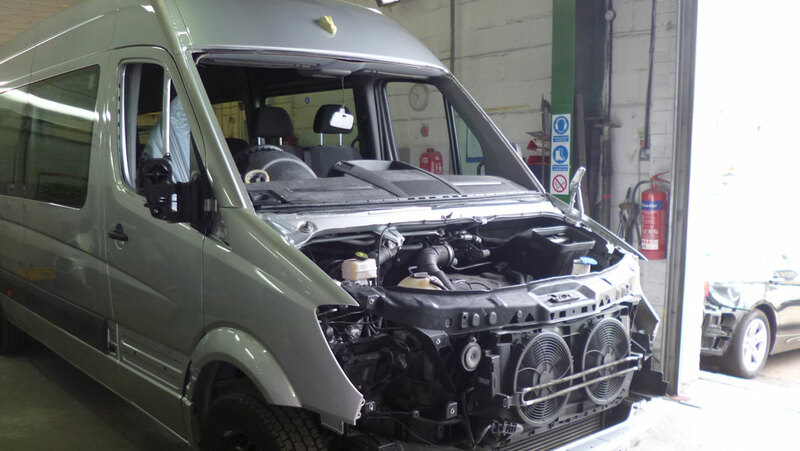 Insurance repairs, Egham, Surrey - Denmark Coachworks Repair Centre Ltd.
From your first call to us we manage the complete repair process to get your vehicle back to looking its best again, with as little inconvenience to you as possible. We pride ourselves on giving you a speedy quote, and with our attention to detail, technical expertise and excellent customer care you can be confident leaving your car with us. Denmark will collect and deliver vehicles, valet on completion of repairs and supply courtesy cars. Initial contact from you the customer. We view and assess the damage to your vehicle either on our premises or at a time and place convenient to you. We provide you with a quote for the repair within one working day. We can then deal with your insurance company or the 3rd parties insurance company direct on your behalf. You are no longer required to obtain 2 estimates. You decide who repairs your vehicle, not the insurance company or the 3rd parties insurer. The decision is 100% yours. We recover your vehicle to our body-shop, if required. An engineer from your insurance company will assess the damage to your vehicle. Your insurance company gives us the authority to repair your vehicle. Our trained technicians understand how to repair your car correctly first time. © 2019 Denmark Coachworks Repair Centre Ltd.